Head coach Robbie Neilson made four changes from the side which had lost 2-1 against Partick Thistle in United’s last game. Coming back into the team were Sam Stanton, Callum Booth, Paul Watson and Peter Pawlett. Osman Sow, Charlie Seaman, Ian Harkes and Aidan Nesbitt were the players to drop out. The first two players were out injured and the latter two were on the United bench. In addition, Pavol Safranko was also missing the game after being called up for international duty with Slovakia. 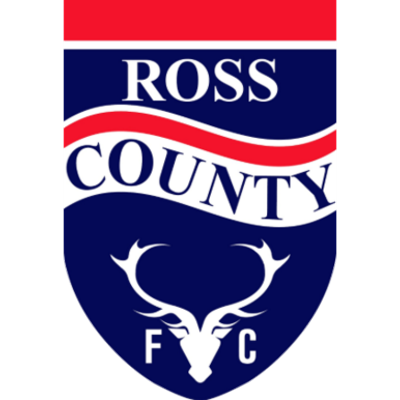 Ross County started the game eleven points ahead of United at the top of the Championship, and they knew that even with a United win in this fixture the Championship title was all but in the bag with a mere nine games left. The Staggies had several former United players in their ranks but only two were to start this game, namely Keith Watson and Michael Gardyne. The home side had their first shot on target in the first minute of the game with a long ball launched over the top from Mark Reynolds playing in Paul McMullan. The winger cut in onto his right foot but his low shot was straight at Scott Fox and the Ross County goalkeeper made a comfortable save. United got off to the best possible start with a goal after seven minutes. The chance came from a corner kick which was earned after a poor clearance from Ross County goalkeeper Scott Fox was intercepted by Sam Stanton. He teed up Nicky Clark but the striker’s effort was deflected wide. From the resultant corner kick from Peter Pawlett, Calum Butcher nodded the ball past Scott Fox at the front post to give the home side the lead. Remarkably, it was United’s first goal which wasn’t from either a penalty or a direct free kick in four matches. Ross County’s frustration at conceding such an early goal was evident, and Ross Stewart picked up an early booking when he scythed down Calum Butcher in front of the home dugout. Although they were seeing a lot of the ball at this stage, United rather had them at arm’s length and Ben Siegrist’s goal was never under threat in the first twenty minutes of the game. In fact, it was the home side who created the next chance when Calum Butcher played the ball through towards Paul McMullan, but Scott Fox rushed from his goal and was able to reach the ball just before the United player. Just after the 20th minute the away side had their first half chance of the game, but even then it was a speculative effort at best as Ross Draper tried a long range shot which went far wide of the post. It was proving to be a rather physical game at times, and a bad challenge from Mark Connolly on Michael Gardyne on his own goal line just before the half hour mark saw the United defender deservedly booked. The resultant free kick was easily defended by the United rearguard and a good break from United soon afterwards led to a Paul McMullan run into the penalty box after being played in by Nicky Clark, but Keith Watson was able to get across and put in a vital challenge before McMullan could pull the trigger. At the other end, Jamie Lindsay had a snapshot from around 20 yards out with seven minutes left in the half, but again Ben Siegrist was untroubled and the first half ended with a 1-0 lead for United. Ross County had a good chance less than thirty seconds into the second half when a good run down the left hand side by Michael Gardyne led to him squaring the ball to Ross Stewart, and although his shot was on target Ben Siegrist was able to block the shot with his legs and the danger was cleared. The away side made an attacking change not long after half time, with another former United player in Brian Graham entering proceedings to replace Ross Draper. 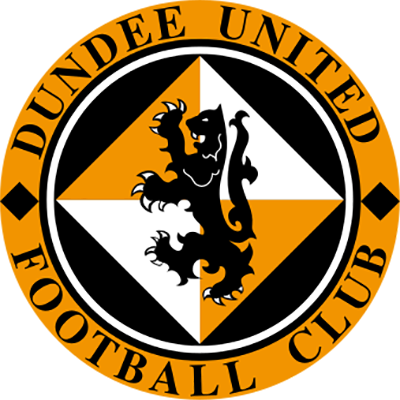 United were forced into a change of their own when Cammy Smith came on to replace the injured Peter Pawlett, and he almost scored with his first touch, hitting a snapshot on the turn from just outside the penalty area which Scott Fox was able to save. There was another injury-enforced change for United soon afterwards when Mark Connolly was forced off to be replaced by Rachid Bouhenna. The game was continuing to be a midfield battle, with neither side able to create a lot, which of course suited the home team. Ross County were showing very little as an attacking threat aside from a mishit cross from Kenny Van der Weg which had to be tipped over the bar by Ben Siegrist, but were nearly handed a way back into the game with twenty minutes remaining through an error from the United keeper as he spilled a routine shot from inside the box from Jamie Lindsay. The ball fell into the path of Michael Gardyne, who was only prevented from equalising by a goal line clearance from Mark Reynolds. Five minutes after that scare for United, Cammy Smith broke down the right hand side and crossed the ball towards Nicky Clark, but he narrowly failed to hit the target. The United striker missed an even better opportunity with eight minutes left to play when a great pass from Paul McMullan played the former Dunfermline striker clean through on goal, but Scott Fox was able to block his shot. There was another scare for United right at the end of the game when Ben Siegrist was unable to hold on to a routine corner kick floated into the box. Luckily for him and for United, Brian Graham was unable to turn the ball into the net and again the danger was cleared. That was the end of the chances and the game ended with a 1-0 United win which brought them to within eight points of their opponents and kept their faint hopes of winning the Scottish Championship alive.